Barcelona defender Javier Mascherano has signed a 3-year contract extension with the Catalans, but has also revealed that he wishes to leave the club at the end of his new contract. The Spanish Giants confirmed on their Official website that the 32-year-old will be renewing his contract. A statement read: “Javier Mascherano put pen to paper on his improved contract extension with FC Barcelona, a deal that will keep him at the Club until 30 June 2019. His contract will ensure that he will complete just under a decade of service for the Catalans since joining in 2010 from Liverpool. However, the defender had mentioned that this contract extension would be his final with Barcelona, although no one is able to predict his future after leaving the Camp Nou. “This will be my last contract here, I can tell you that,” he affirmed to Barcelona’s official television channel. 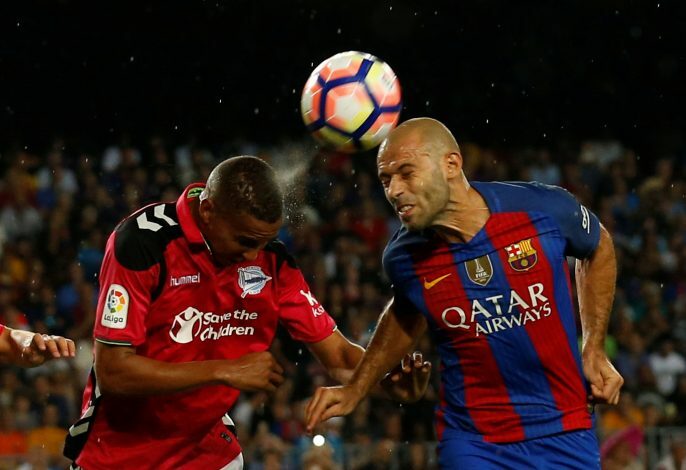 Since his arrival in Spain, Mascherano has played in 290 games for Barcelona, although he hasn’t yet scored a single goal for the club. He has helped the side win 4 La Liga titles, 2 Champions League trophies, and 3 Copa del Rey cups. He primarily played as a central defensive midfielder during his first few seasons at the club, however, he was slowly shifted to a more central defensive position under the management of Pep Guardiola.